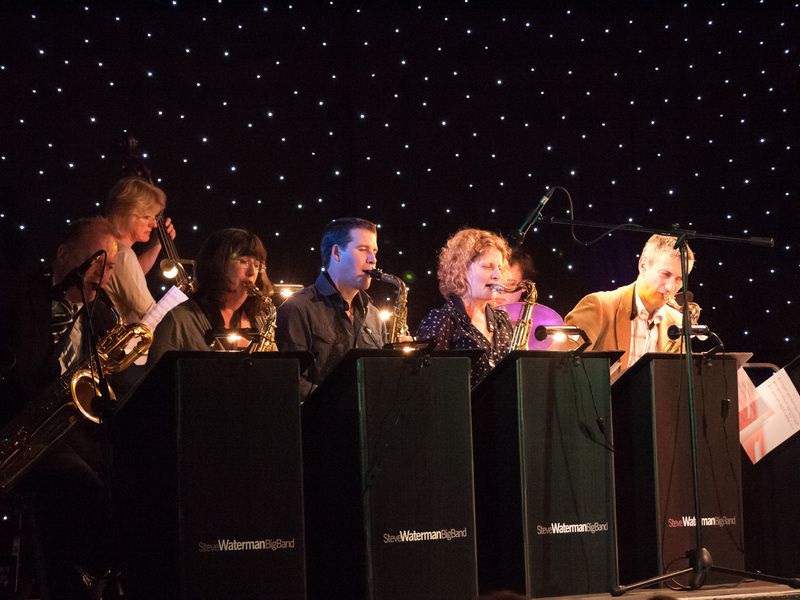 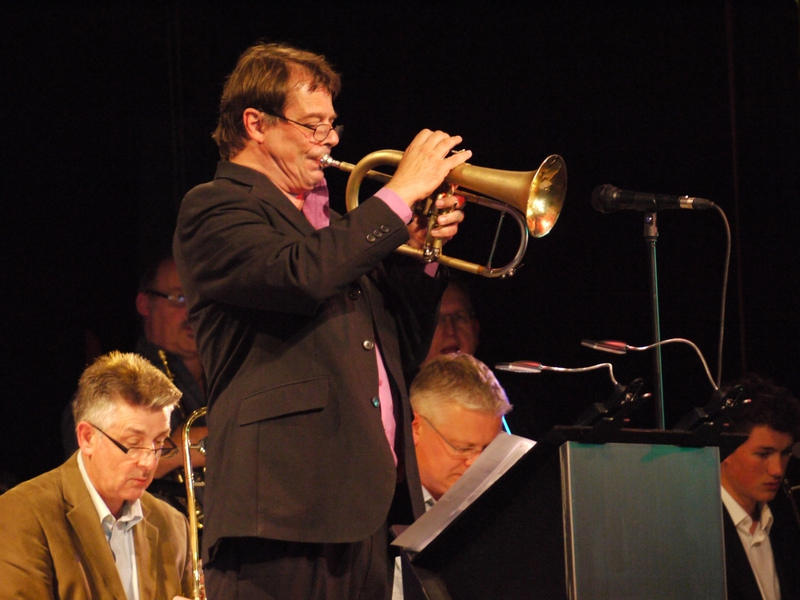 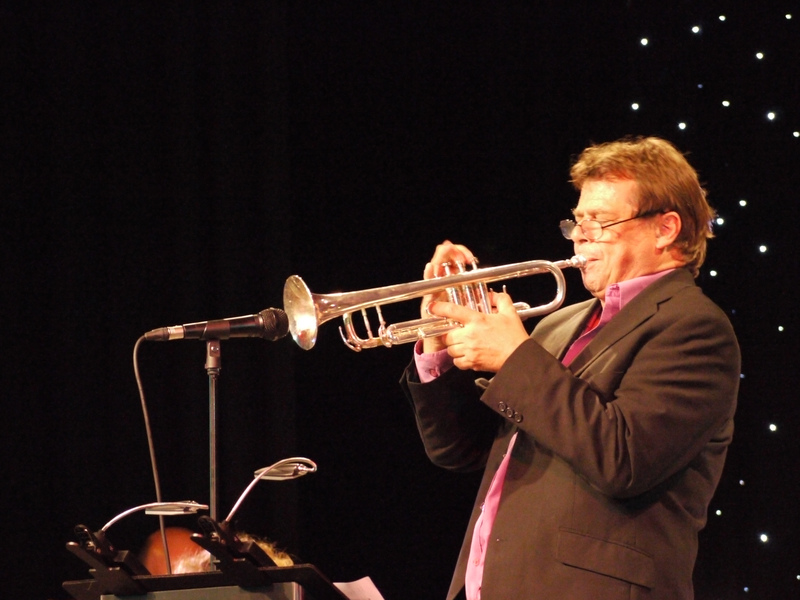 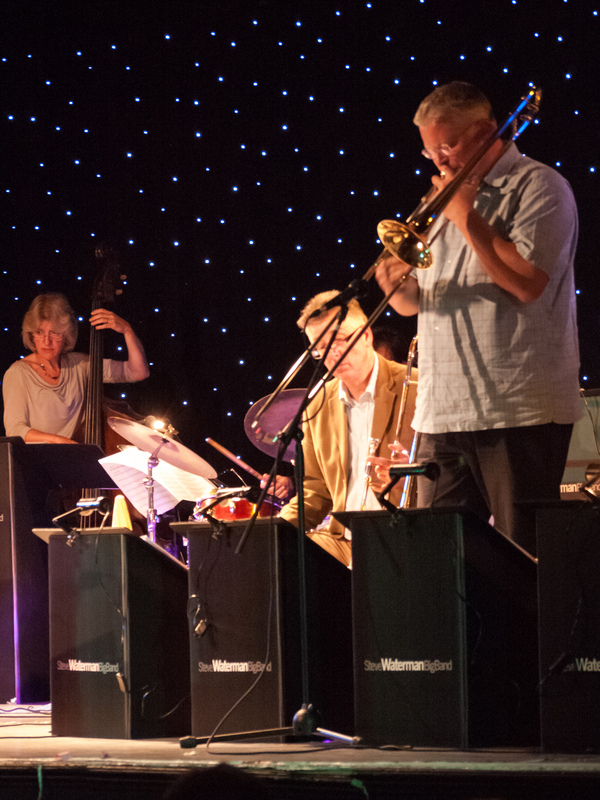 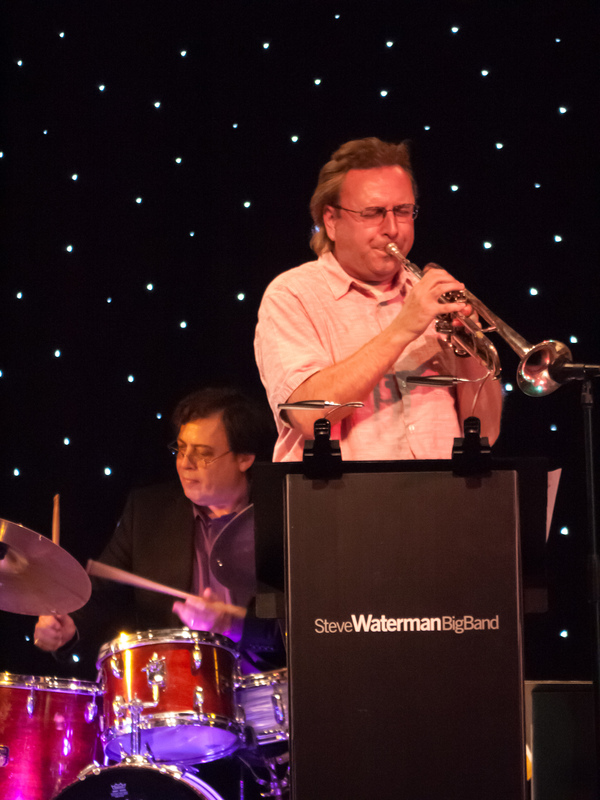 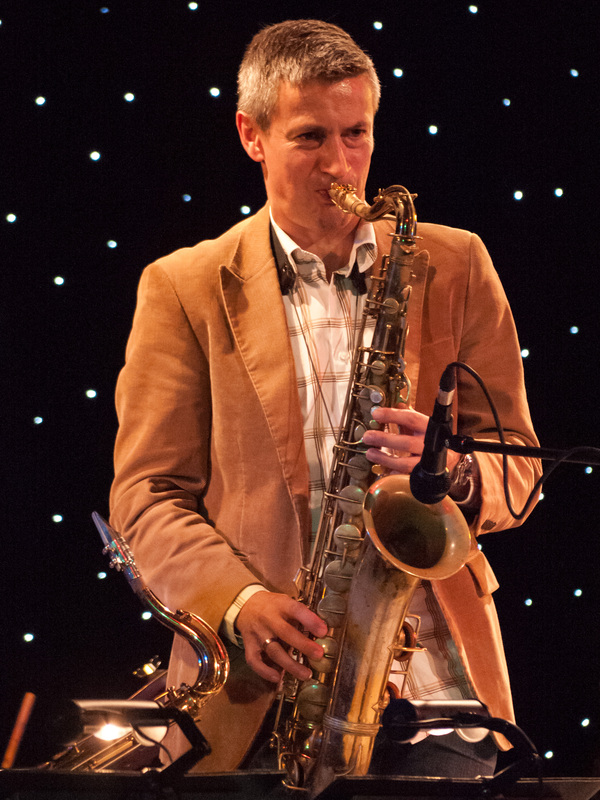 Below are a few pictures taken at the Steve Waterman Big Band evening on September 9th. 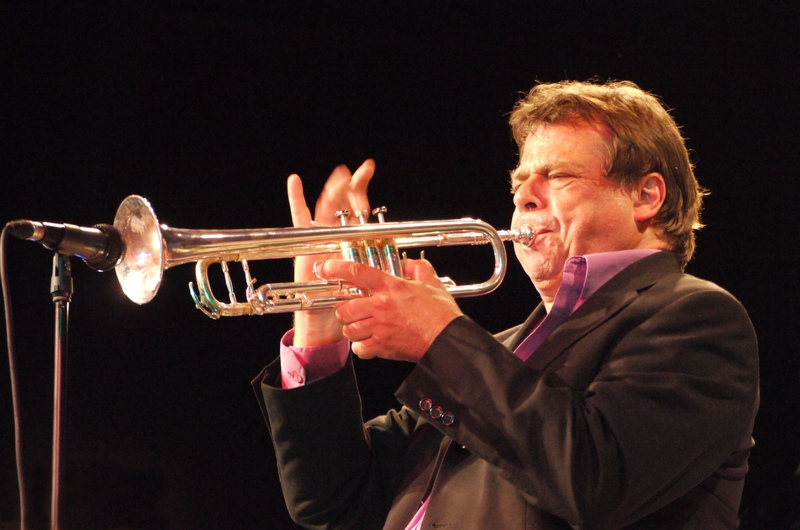 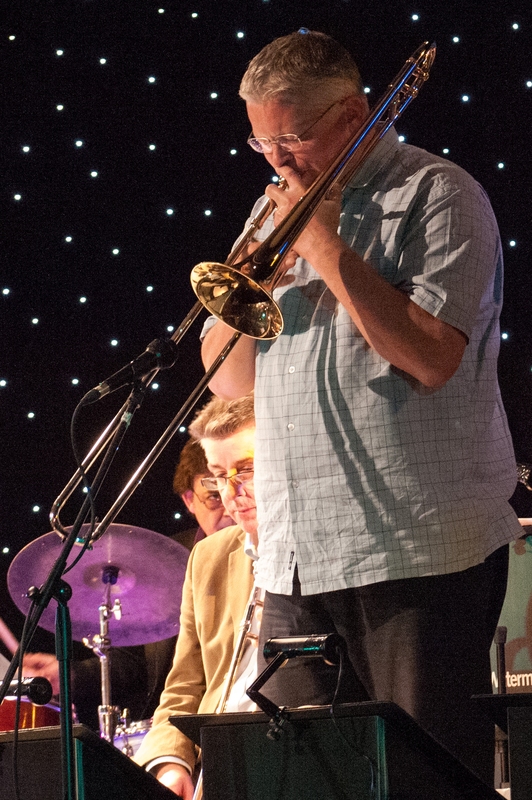 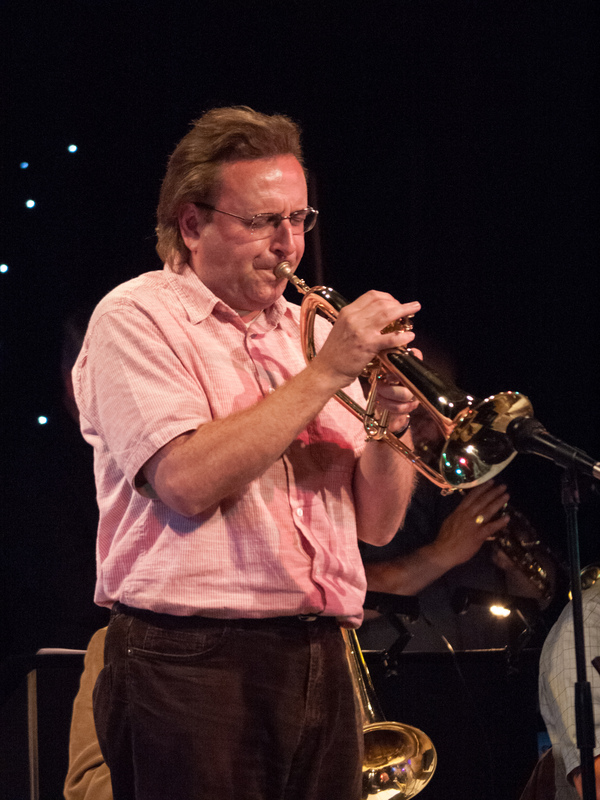 The band featured some of the top names in British Jazz and during the sell-out performance played a selection of Steve’s own arrangements of great trumpet features from the history of jazz — from Louis Armstrong, Bix Beiderbecke and Roy Eldridge to Miles Davis, Clifford Brown and Kenny Wheeler. 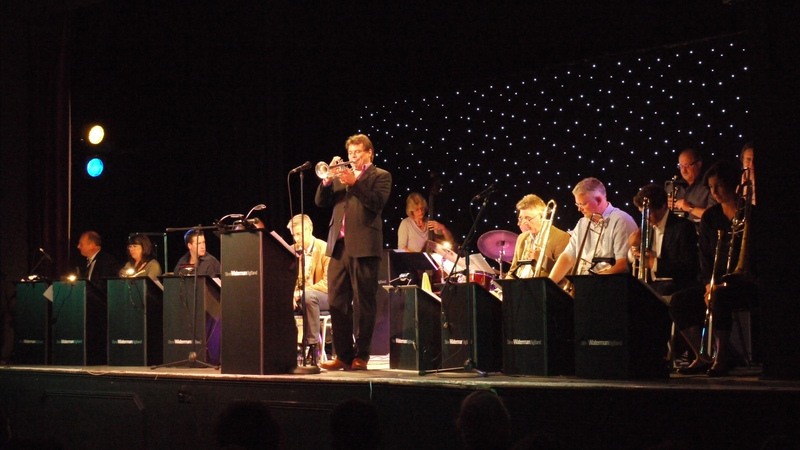 The band line-up included internationally renowned players such as Mark Nightingale on trombone, Dave O’Higgins on tenor saxophone, and sax virtuoso Alan Barnes on baritone sax, as well as Simon Allen on alto sax, Karen Sharp on tenor, trumpet stars Mike Lovatt and Martin Shaw, and the exceptional drumming talents of Clark Tracey.